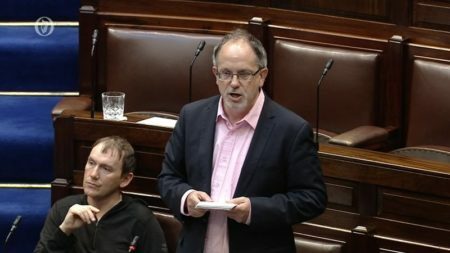 Cork North Central Solidarity TD Mick Barry said this morning that he would welcome a repeat of last winter’s Home Sweet Home occupation and street protests to demand action on the homelessness crisis. His comments came in the wake of a week in which three homeless people died including a young woman who was living in a tent in Cork city. Deputy Barry called for a sharp break with current Government housing policy which kowtows to the market and to the landlord lobby. He called for real rent controls which would not simply ban rent increases but would force real cuts in rent levels. He also called for a massive programme of local authority housebuilding to slash housing waiting lists and sharply reduce the demand for private rented accommodation which is pushing up rent rates.